Director Dai is good at combined treatment for all kinds of solid tumor (such as breast cancer, lung cancer, gastrointestinal tumor, gynecologic tumor, tumors in head and neck etc.). With intentness on studies and researches for more than 10 years, Director Dai has mastered many new cancer treatments which develop as medical and scientific technology improves. 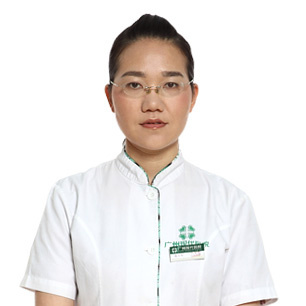 She is familiar with all principles of radiotherapy and chemotherapy and can choose the suitable chemical medicine according to patient’s condition for treatment. Beside, Director Dai also studies other related cancer treatment information like mental healing, physical practice, family and social support for cancer patients etc. Through years of studies and clinical treatment experience, she finds that mind affects patient greatly in treatment. Therefore, she cares patient’s mind and often talks to and encourages patients to face cancer bravely. For years, Director Dai always keeps the good habit of study every day and learns new technology constantly. With sound theory basis and rich clinical experience, Director Dai has helped numerous cancer patients reduce their pain effectively, improve life quality and prolong survival time. Director Dai graduated from clinical medicine school of Sun Yat-sen University. In September 2015, Director Dai went to Singapore National University Hospital for further study. Director Dai has been involving in clinical work for more than 10 years, and has been attended various academic forums on tumor in China for many times. In 2010, she became the committee young member of Minimally Invasive Treatment Committee of Chinese Anticancer Association. She has taken part in many academic conferences about tumor, such as CSCO (Chinese Society of Clinical Oncology) meeting, the annual meeting of chemotherapy etc.